The focusing properties of a radar measuring instrument depend on the transmission frequency and the effective antenna surface. By using a transmission frequency over three times higher (26 GHz was common until now), the antennas can be three times smaller and still achieve nearly the same signal focusing. 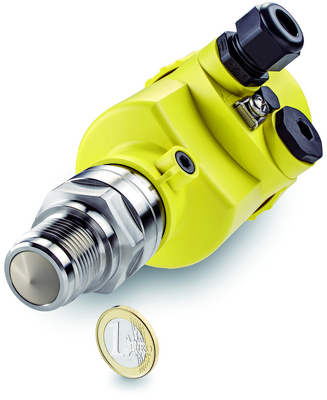 This allows considerably smaller process fittings with an antenna size of only ¾’' – a significant advantage, especially for use in small vessels. This frequency also considerably reduces interfering signals generated at close range. This is crucial for the industry, because the antenna size and blocking distance (the dead band, i.e. the minimum distance between the antenna and the liquid surface) of radar level instruments was far too large for small containers. Now, the medium can be measured with much higher accuracy, both right up to the process fitting and down to the very bottom of the container. 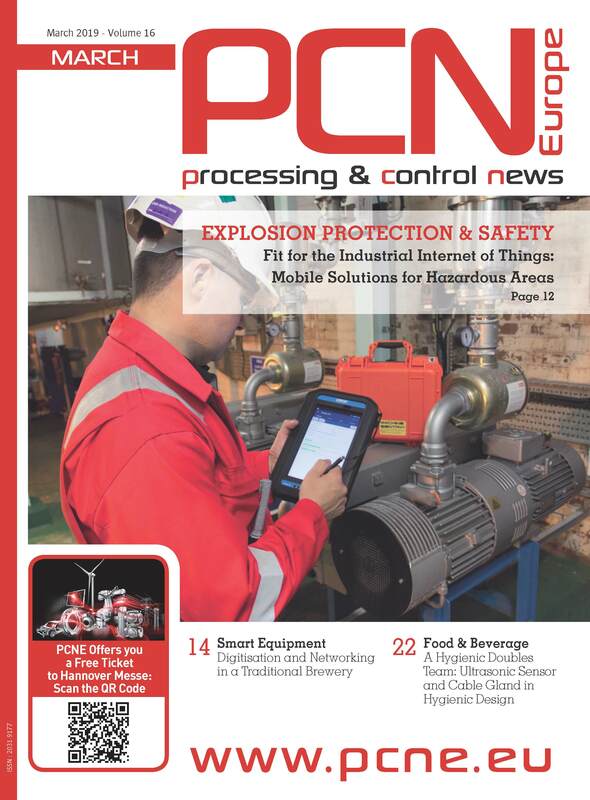 Another plus for this highly regulated industry: since existing process connections can be used, the new sensor can be easily installed without costly equipment modifications. Aseptic process fittings will be available at the market launch – in these, only PTFE serves as the wetted material. These process fittings meet the requirements of 3A, FDA and EHEDG. Since radar signals pass right through viewing windows and glass containers, the sensor can also be mounted outside the container in some cases. This method, too, has become much easier thanks to the higher transmission frequency – and this solution will be especially interesting for the pharmaceutical industry. 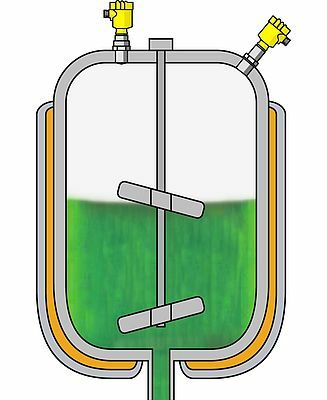 Some pharmaceutical companies use bioreactor vessels to cultivate particular cells or microorganisms required for certain treatments. The very high level of hygiene required means that vessels and all associated parts must be easy to thoroughly clean, because even the slightest contamination with other organisms can lead to an aborted production run. These reactors are mainly “batch-fed”, where they are completely filled at the start and not emptied again until the process is completed. The level and pressure in the reactor have to be monitored continuously during process in order to obtain a high-quality yield. The VEGAPULS 64 is the adequate radar level sensor for impeccable continuous level measurement in bioreactors. The front-flush, encapsulated antenna is easy to clean and resistant to the extreme conditions of the SIP and CIP processes. Even with maximum utilization of the reactor, the measurement remains unaffected by changing products and process conditions. The small beam angle and good focusing of the sensor allows for an easy alignment. For continuous pressure monitoring, the VEGABAR 83 with aseptic process fitting is a hygienically optional and reliable solution. Neither the chemical cleaning cycles nor the thermal shocks after sterilization can affect the diaphragm. Expert Advice: VEGA is clearly convinced that the 80 GHz technology will change the world of level measurement technology. The company estimates that within a few years, every second radar level instrument in new installations will be equipped with higher frequency. The new instrument will find application in ever more industry sectors.